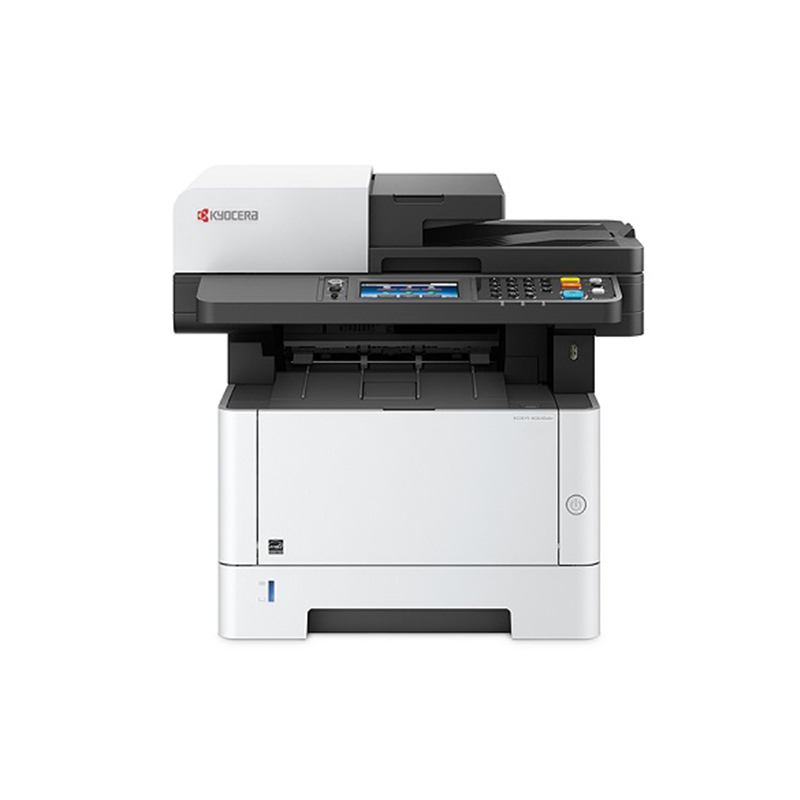 The ECOSYS M2640idw is a black and white multi-functional printer with advanced features for the budget conscious business. This copy, print, scan and fax solution is designed for ease of use, exceptional print quality, reliability, and low TCO with ECOSYS long life consumables. On-the-go printing and scanning capabilities allow workgroups of all sizes to easily drive their business from anywhere. With print speeds up to 42ppm, HyPAS capability, advanced security features, convenient walk-up USB accessibility and a tablet-like touch screen for ease of use, the ECOSYS M2640idw can affordably take your business to the next level.